Professional services firm RealFoundations focused on serving the real estate industry, prides itself on being a Microsoft Champion. 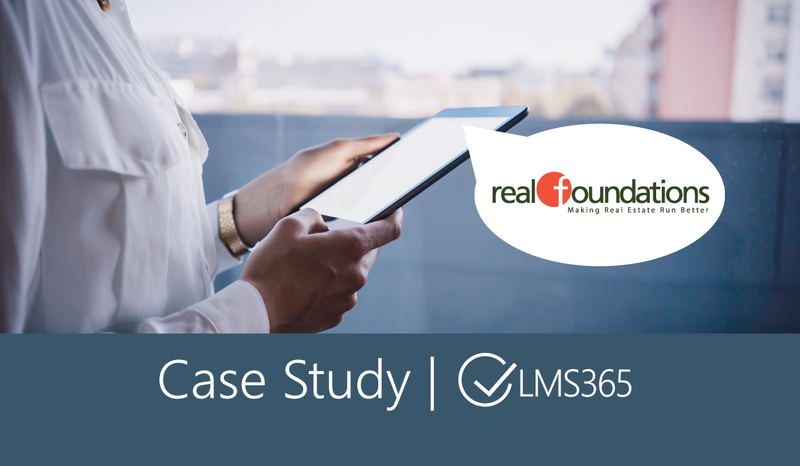 Due to their investment in Microsoft Office 365 that the company uses to enable day-to-day project and services delivery, it only made sense to adopt LMS365, the LMS built on top of the cloud platform. When Microsoft released Microsoft Teams in February 2017, RealFoundations was one of the first to jump on board, making a conscious effort to move conversations out of Outlook and into the fast-growing collaboration platform. 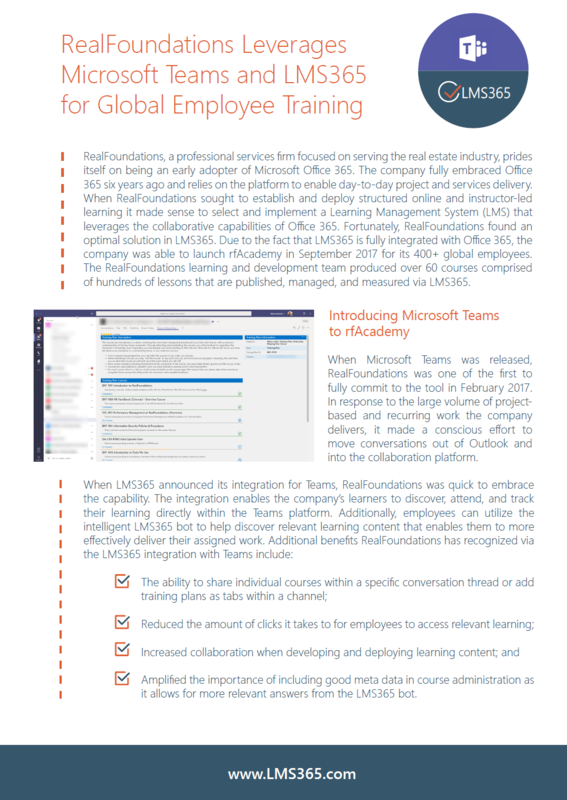 When LMS365 announced its integration for Teams, the company was therefore quick to embrace the capability. Find out how RealFoundations is using the application to provide end-to-end training to its employees around the globe without ever leaving Teams.